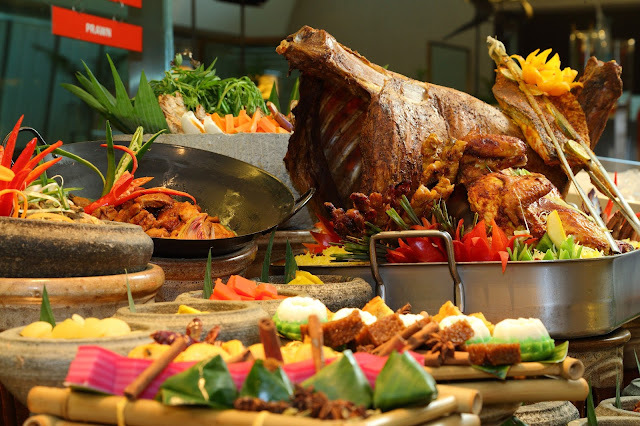 Traders Hotel has been around Kuala Lumpur for quite some time now, their Gobo Chit Chat offers an extensive international flavour with traditional recipes in their Ramadhan Buffet selection. 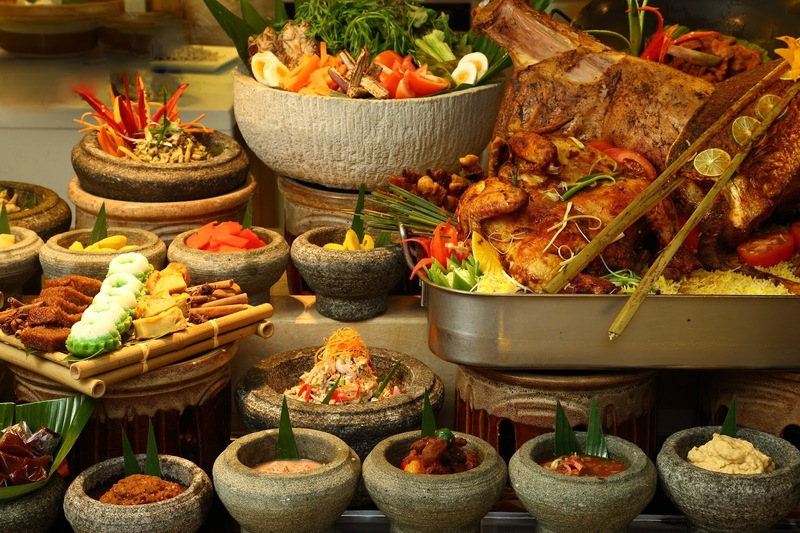 If you're looking for buffet choices that serves not only Malaysian cuisine but other Western and Japanese cuisine as well. As I found out that “Gobo” means light in translation which you can find them displayed above the ceiling as you enter the place. The Signature Bamboo Lamb Biryani is some of the buffet's main highlights and the biryani is cooked in a bamboo which turned out to be quite fragrant. More choices in the traditional malay cuisine that they offer are the popular Satay, Assam Pedas, Sengkuang Calit. The Acar station where you can find many types of acar buah and kerabu, as well as ABC and local desserts. There's also the Pengat Durian that comes in a soupy consistency, surprisingly it tasted somewhat like durian dodol so you can have that as a dessert. If you like durian then this dish is recommended to try. Other than that, they do serve an array of seafood which you can choose to then grill them on the spot served fresh and crisp! This buffet also has a Sushi selection where you can hope to find three types of Sashimi and their rolls all decked out freshly served. Different types of tempura are offered and miso soup to add to the Japanese choices. Overall the buffet was decent and they do have a variety of flavours and dishes to choose. Although the Mac and Cheese at the western selection was slightly bland and Chinese vegetables seasoned better. The dessert station had a good array with Chocolate fountains and cakes to satisty your sugar cravings. Not to mention they have free flow of New Zealand Natural ice cream!